Manchester United’s manager conundrum has been fed well by the media over the past weeks. A string of poor results resulted in numerous links being made to Jose Mourinho’s sacking from Old Trafford. Following a convincing 2-0 win against Burnley prior to the international break, these links swiftly disappeared. However, one factor from the weeks of speculation has remained strong, and that has had to do with who will succeed Jose at United. For the longest time, that post has been almost entirely assigned to former Real Madrid manager Zinedine Zidane, who led Los Blancos to three consecutive Champions League victories as well as a La Liga title before surprisingly quitting the post in the summer. 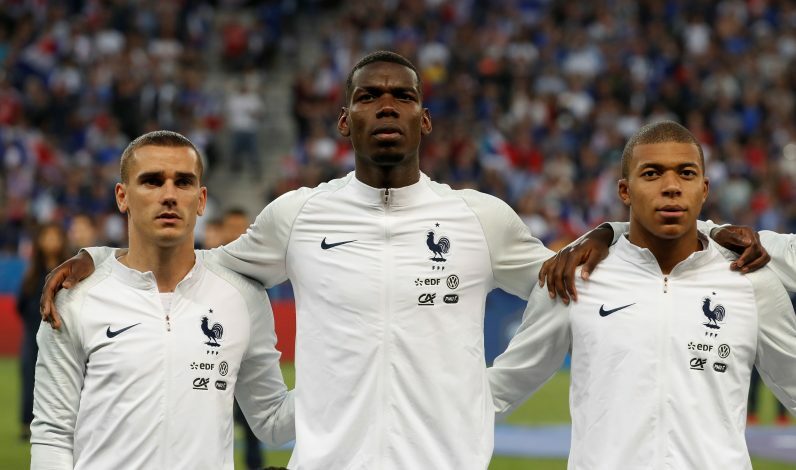 Now, the Frenchman is being strongly linked with the Old Trafford post, and reports also suggest that he has already identified his top target. As per AS, if given the manager’s job, Zidane’s first priority will be to bring Antoine Griezmann to Manchester. The French forward was a firm target for the Red Devils for much of last year. That interest was joined with that of Barcelona earlier in the summer, but the 27-year-old pledging his future to Atletico Madrid seemingly killed off all speculation. Zidane seems to be an admirer of his fellow compatriot, who was a crucial presence in France taking home the World Cup earlier this summer as well. The report adds that an amount as ludicrous as €200 million or so would be splashed by Zidane, with the board allegedly having gotten into talks with the gaffer over a takeover if Mourinho’s future is decided. For his part, the Portuguese gaffer has no worries of his job safety, with his recent press conference making it clear that he is very certain that Manchester United won’t let him go this easy. This also begs into question as to precisely what Zidane will bring different to the English side if his top priority is a 27-year-old forward.